Themed home theaters are pretty popular since it’s only natural to create a home theater design in the theme of one’s favorite movie. There are many layouts and virtual projects of home theaters that were inspired by many different films so we are sharing the top 5 themed home theater designs. Some of them are still projects while others were already brought to reality. 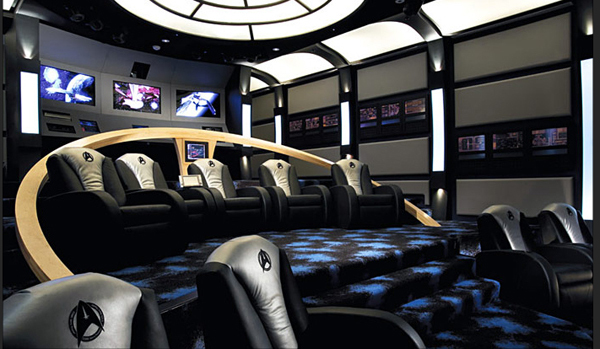 Batcave home theater by Elite HTS is simply the best. 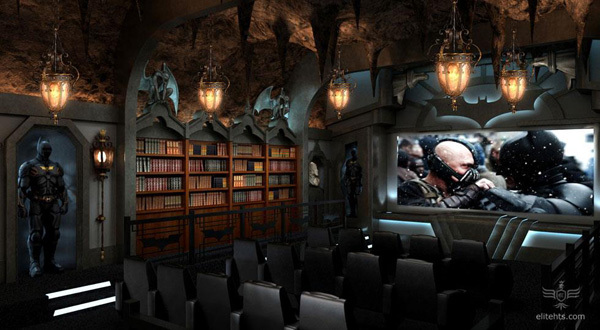 Though this project is only focused on the seating the design of the Batcave home theater is quite literal. The stone-finished ceiling and walls are enhanced with stalactites and pendant lights, bookcases, and Batman life-size figures. Another project that’s nearing completion by Elite HTS is a Pirates of The Carribean-themed seating. 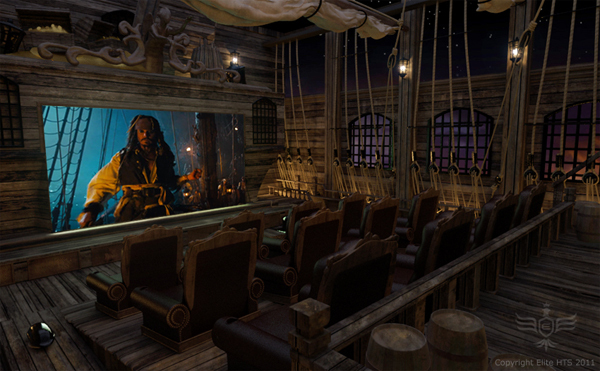 The theater sketch is styled after a pirate ship with mast, sails, and even a ship bridge. 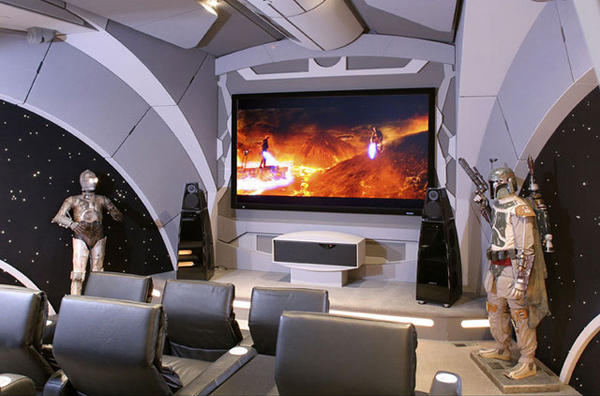 This Start Wars-themed home theater was designed for the two Star Wars fans by Dillon Works. A cool Death Star style interior features a futuristic style, leather seats with angled backs, and character statues to add more presence to the room. Even the speakers come in a shape pertinent to the style of the iconic movies. 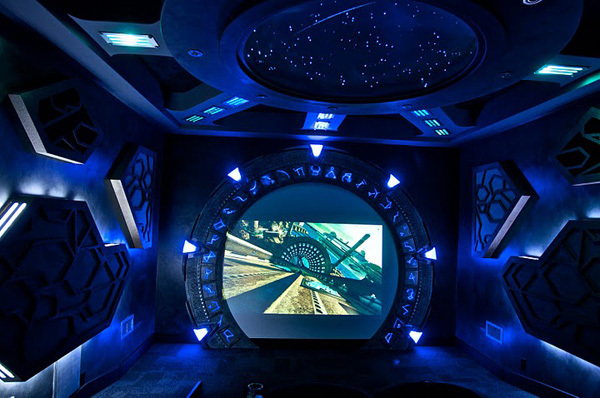 The Stargate Atlantis home theater that cost its owner $70,000 for a ten foot screen, THX speakers, 800 DVDs, and a design that mimics the show set and creates a mystical atmosphere.